This post is sponsored by B&W Quality Growers, the world’s largest grower and marketer of watercress. Thank you for supporting our work here at Food Heaven! Whenever people tell us they routinely have a salad for a meal, we always have follow up questions. Do you include variety of ingredients? Because, as we know, salads can either be a boring, bland and dissatisfying excuse for a meal or a delicious, flavorful, masterpiece in your mouth. The truth is, nobody deserves a bad salad. It’s the bad salad that makes people hesitant to give the good salad a try. But that all stops here. 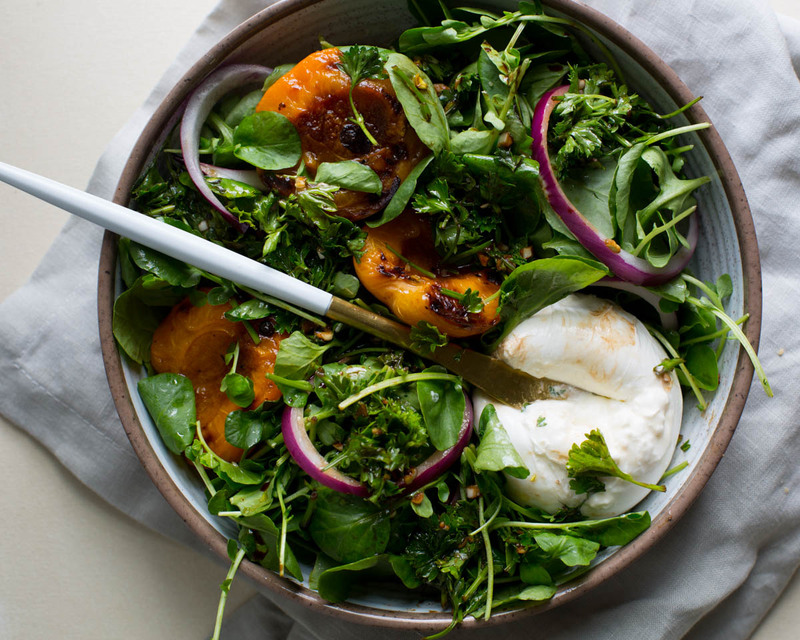 This Broiled Peach Summer Watercress Salad recipe is the perfect iteration of everything a salad could and should be: savory, fresh, and filling. We made sure to include local, seasonal ingredients for this recipe because a.) they taste better, b.) they cost less. and c.) eating seasonally reduces our carbon footprint. You’ll also notice that we featured watercress in this recipe and that’s because it’s an incredibly nutrient dense vegetable. 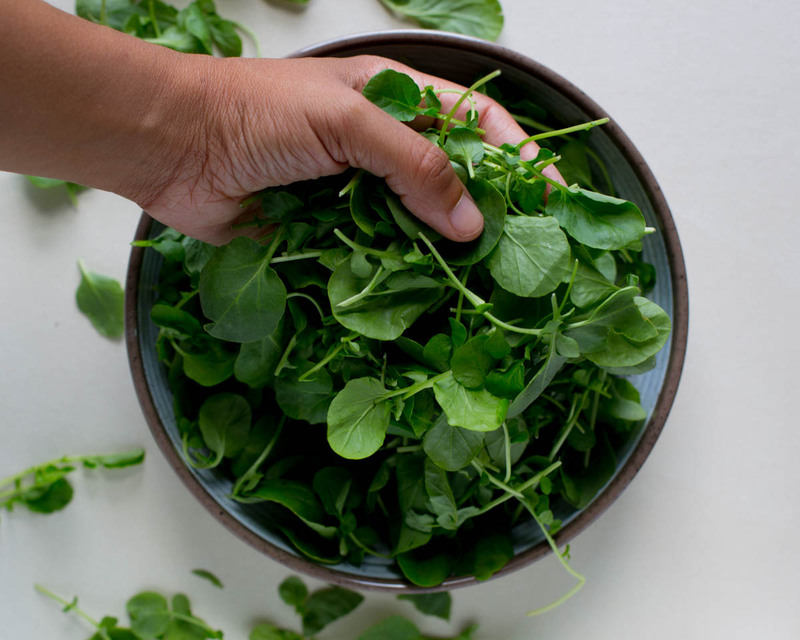 In fact, consuming 1 serving of watercress will provide you with more than 18 essential vitamins and minerals, including iron and vitamins A, C, & K.
Fun fact: Watercress is actually a cruciferous vegetable (in the same family as broccoli, cauliflower and brussels sprouts). Cruciferous vegetables are generally known as cancer-fighters due to their high levels of phytochemicals known as isothiocyanates. Studies have shown that watercress, specifically, is associated with a reduced risk of several cancers, including prostate cancer. That’s probably because frequent consumption of watercress may lead to a reduction in DNA cell damage and a potential increase in antioxidant activity in the body. 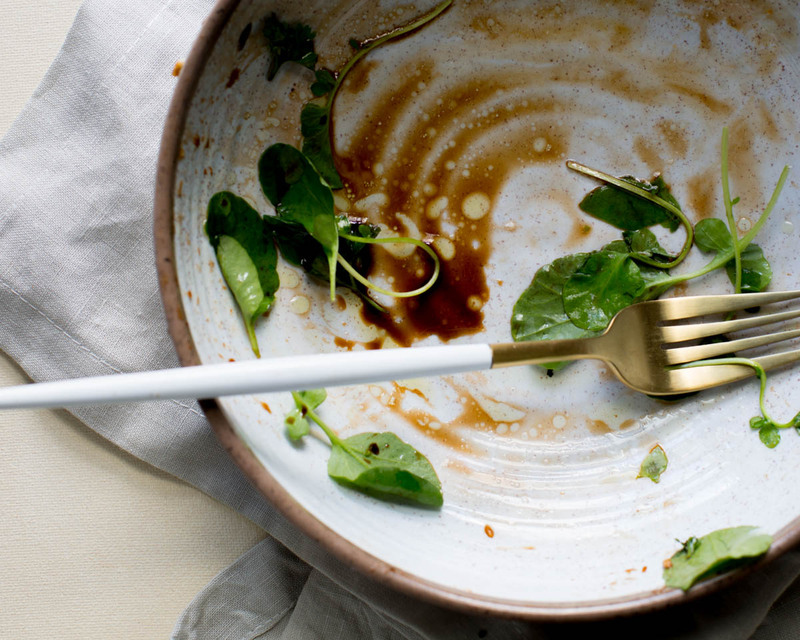 But nutrition aside, perhaps the best part about this salad is that it’s easy. 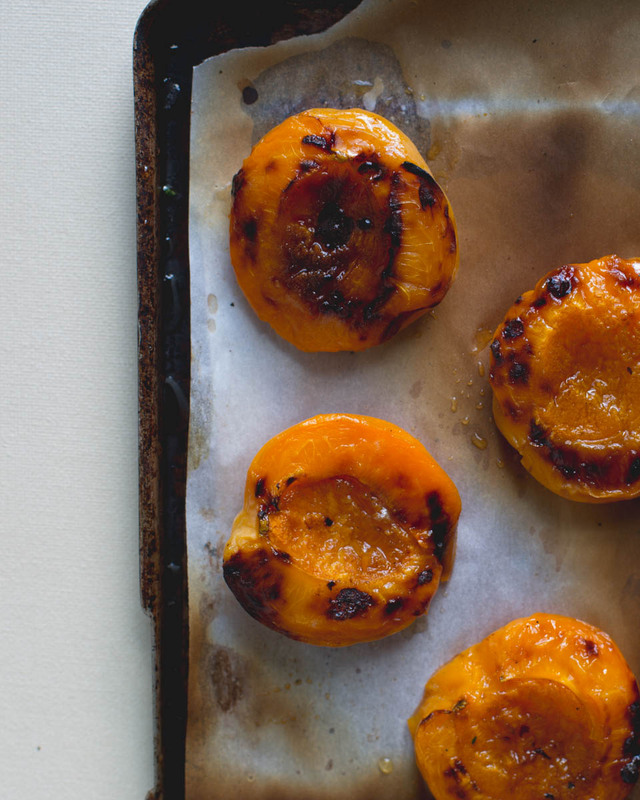 We know: the thought of grilled peaches seem like a commitment, and that freaks most people out. But stick with us.. All you do is slice the peaches in half, remove the pit, drizzle maple syrup over them, and broil for 4-6 minutes. Once those are done cooking, you’ll add the watercress to a salad bowl, and add the broiled peaches, onion, and burrata. For the dressing, add all ingredients in a small bowl and mix. Drizzle over the salad. If you make this recipe, make sure to let us know in the comments below what you think. Also, if you are a salad person, we want to hear what good salad recipes you are making! Spill the greens below. Slice the peaches in half, and remove the pit. Add them to a parchment paper lined baking dish, and drizzle maple syrup over them. 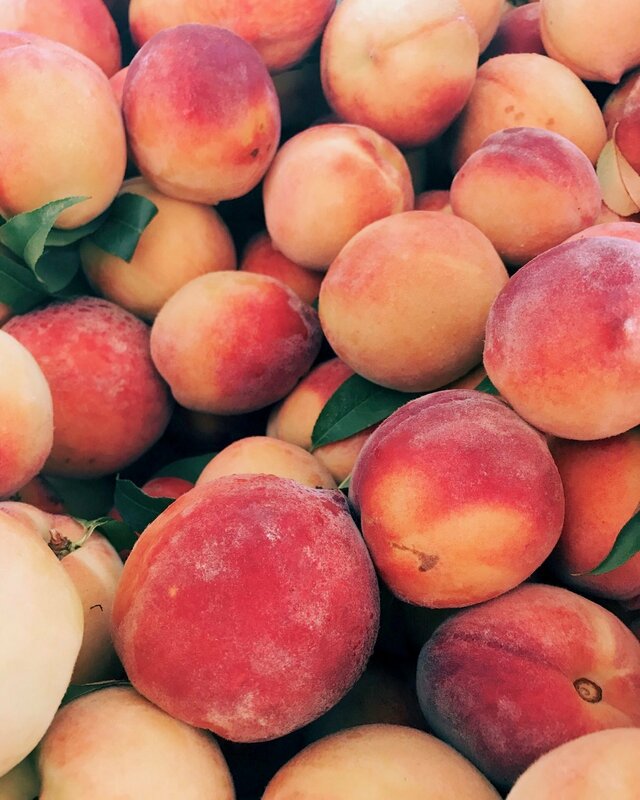 Broil for 4-6 minutes, or until peaches have browned on top. 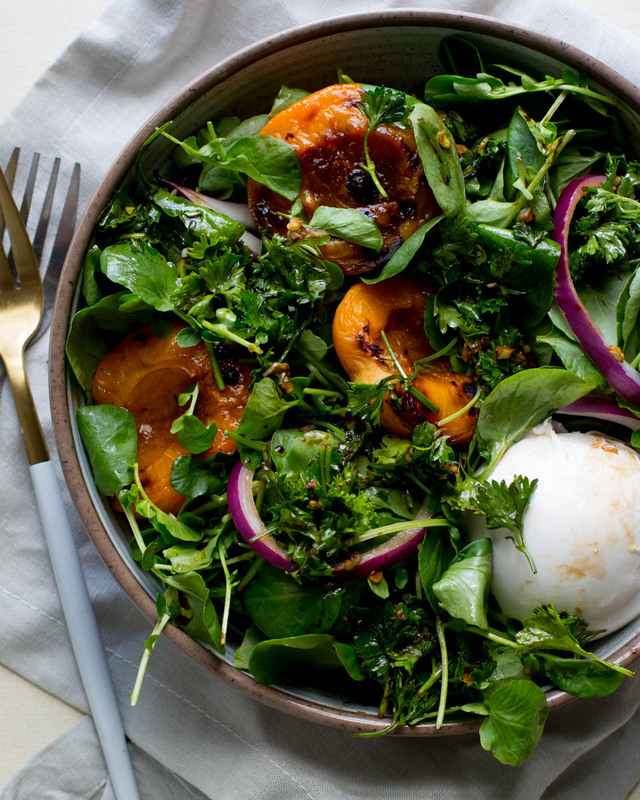 Add the watercress to a salad bowl, and add the broiled peaches, onion, and burrata. For the dressing, add all ingredients in a small bowl and mix. Drizzle over the salad. Enjoy! !